What are Europe's top tourist destinations? Strong investment by European countries in travel and tourism has paid off in terms of visitor numbers. 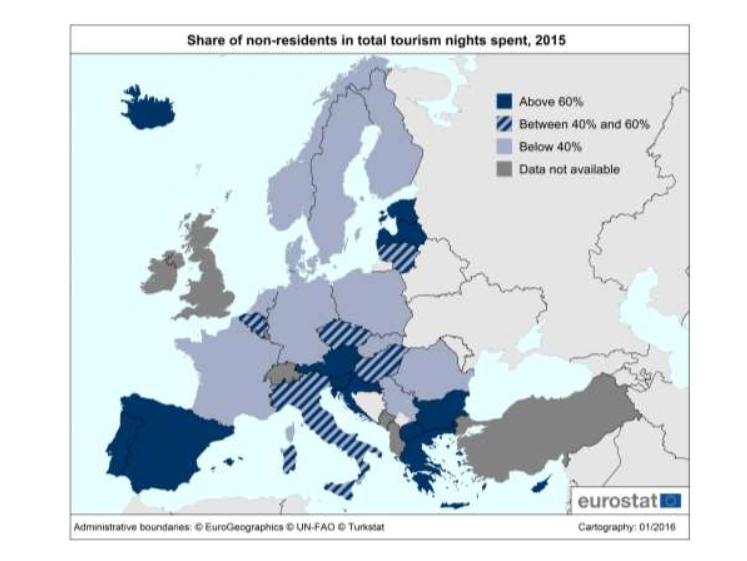 Tourists spent more nights in Spain than any other European Union country in 2015. Whether for business or pleasure, a total of 421 million nights in tourist accommodation were booked in Spain alone, helping to contribute to a new EU record of almost 2.8 billion. The data, released by Eurostat, seems to reflect that the strong investment made by European countries in travel and tourism has paid off in terms of visitor numbers. 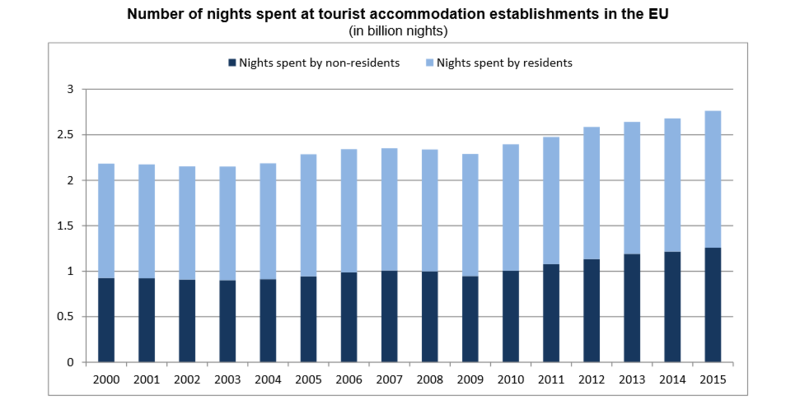 Next on the list is France, with 413 million tourism nights, Italy (385) and Germany (379). 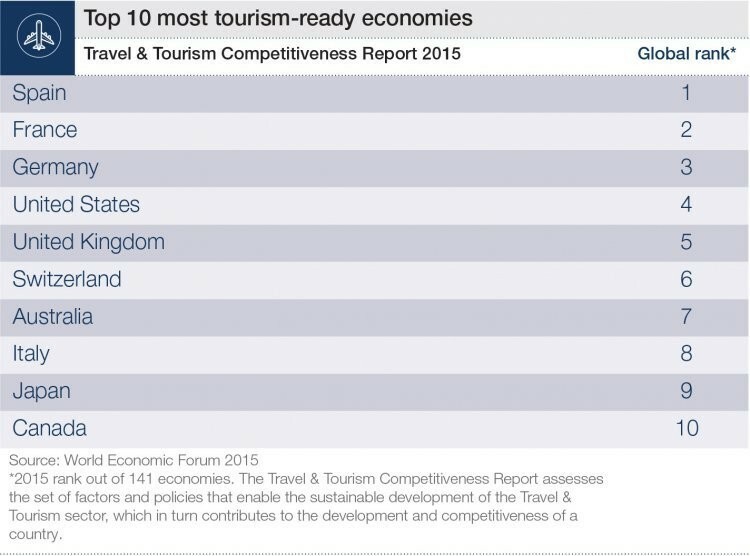 This closely reflects the results of the 2015 Travel and Tourism Competitiveness Report, where Spain also ranked number one worldwide, followed by France and Germany. Italy ranked 8th. The United Kingdom and Switzerland, which were not included in Eurostat's report, also made the top 10. While western Europe may be home to the most visited countries, eastern Europe saw the fastest growth in 2015. Romania had nearly 16% more visitors than in 2014, while Slovakia and the Czech Republic both saw more than a 10% increase. Croatia (7.9%), Slovenia (7.5%) and Poland (6.9%) also experienced rapid growth. The record number of visits to European nations is in large part due to the increase in tourists from non-EU countries. The rise of new middle classes in countries like China, along with a more travel-hungry millennial generation, have been key contributors to the rise in tourist numbers worldwide. In Spain, for example, one in five visitors now comes from somewhere other than the European Union.